Lisa loves John: Hannah and our adventures... Carlsbad Caverns! We finally made it to Carlsbad, where we stayed the night, and went to the caverns in the morning. Unfortunately, John wasn't able to join us because he was working, but we took plenty of pictures in an attempt to give him the full effect. The caverns were incredible, and some people consider them the 8th wonder of the world. The thing that I liked so much about them was the fact that they weren't fully explored. In fact, the night before we were there, there was a new room discovered in the cavern ceiling. Obviously, I know nothing about caving, but the thought of discovering something new that no one has seen before is really cool to me. 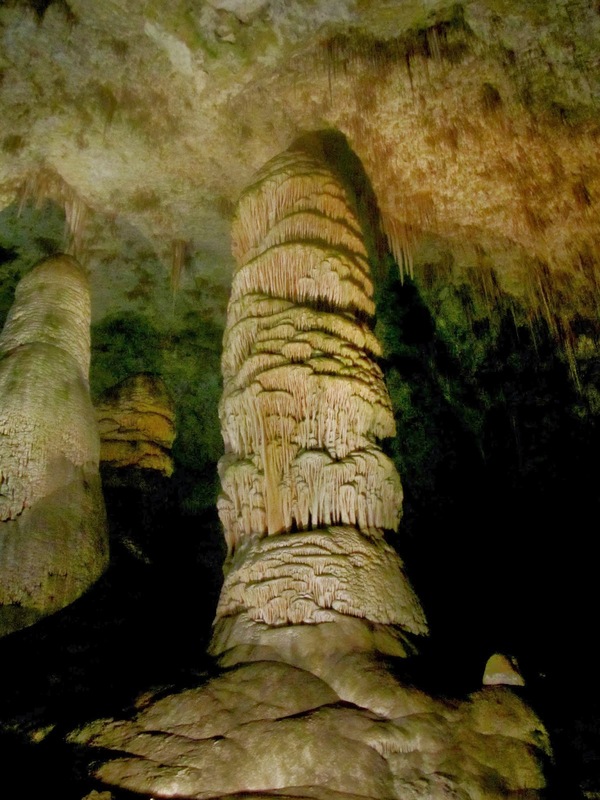 Carlsbad Caverns are the largest caves in the United States, and there are some super fun stories behind some of the speleothem formations; my favorite being the Rock of Ages formation. The Rock of Ages was given its name because back in the 1930s tours would stop at this particular formation and turn off all of the lanterns to experience a total blackout. During one of the blackouts (which are totally silent), there was a Scottish man on the tour who started to sing the hymn "Rock of Ages." Everyone on the tour was so moved by his singing that when the lanterns were turned back on, everyone was crying. The formation was then named after that event (pretty cool, huh?). 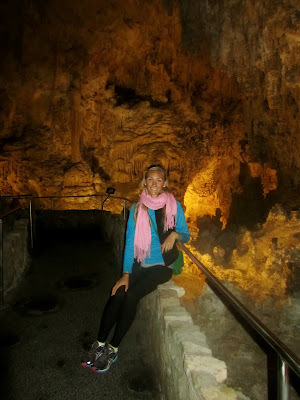 In fact, there just so happens to be a Rock of Ages Carlsbad Cavern tour for the holidays (hint, hint, John!). Due to the high volume of visitors, the only time the park does blackouts anymore are during these special holiday Rock of Ages events. The caverns were so beautiful, and if anyone comes to New Mexico, it is a definite must-see. Hannah and I did a two hour self-guided tour, but there are many guided tours which can get pretty intense... crawling through very small spaces and climbing steep ladders (also, when we first were entering the cave, there were hundreds of bats flying in circles above us!). It is also interesting that no matter the season or time of day, the caverns are always 56 degrees. All of these little details are so cool to me (perfectly designed by God!). 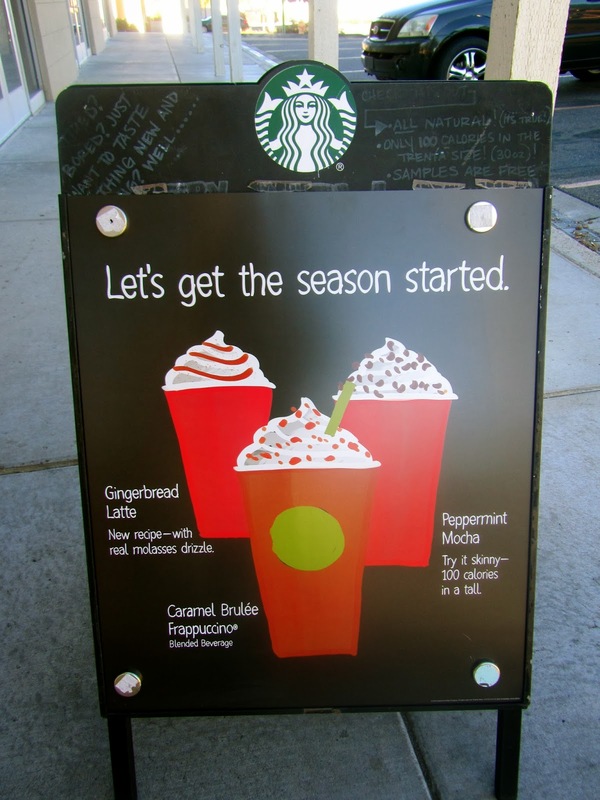 On our drive back to Albuquerque from the caverns, we realized something very important - it was November 1st... which, duh, means Starbucks released their red cup holiday drinks! We were on a hunt the whole drive home (for real, hunt) for a peppermint mocha, and I would be ashamed if you knew how many red cups I have had in the six short days that they have been available. Anywayyy, after arriving back in Albuquerque, we met John for a New Mexican dinner at Mary & Tito's Cafe then relaxed for the rest of the evening - we were exhausted!! The cave entrance from the inside - you can see the bats swarming! Some of the cave formations... no pictures will do them justice! 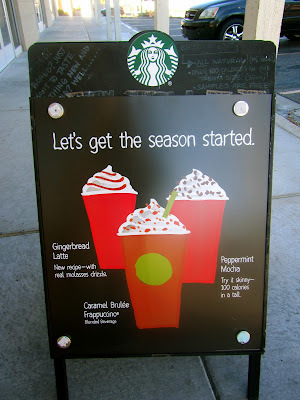 Our first peppermint mocha of the season!